This popular high school course covers key aspects of the Reformed faith and worldview in an easy-to-lead format. 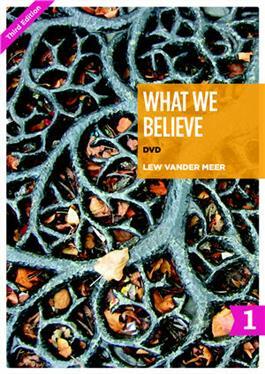 Available for the first time on DVD, this popular high school course covers key aspects of the Reformed faith and worldview in an easy-to-lead format. Based on the Belgic Confession, each session features a classic twenty- minute video lesson by pastor and teacher Lew Vander Meer. After watching the video segments on this DVD, students use the session guides (sold separately) to review, discuss, and apply the teachings to their lives. The leader guides (sold separately)provide helpful backgrounds and offer options and tips for leading student activities. make or renew a commitment to Christ as their personal Savior and Lord. understand the structure and distinctiveness of Reformed doctrine. acquire and use a basic ""faith vocabulary"" common to the Reformed tradition. see a clear connection between doctrine and life. respond positively to the teachings of the church. Rev. Lew Vander Meer is a gifted communicator who knows how to teach doctrine to adults and teens in ways they find interesting and memorable. He is a veteran Bible teacher, and he also serves as senior pastor of a congregation in Grand Rapids, Michigan.